Male Cardinal at a bird feeder. By February, many of us have had just about enough—enough “wintry mix,” enough bleak scenery and enough of our high heating bills. For birds, however, the opposite is more likely to be true. February is often a time of “not enough” for our feathered friends. Notorious for both harsh and unpredictable weather, this month finds many birds struggling to acquire sufficient food and resources to survive. That’s why, in 1994, Illinois Congressman and serious bird enthusiast, John Porter, officially declared February as Bird Feeding Month. 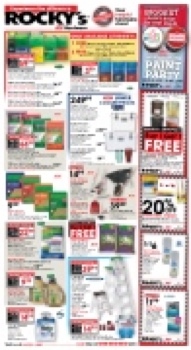 Rocky’s Ace Hardware is more than ready to celebrate and participate—and we have everything you need to join us! Bird feeding is a mutually beneficial activity; birds get to eat, while we humans get to watch and appreciate them. 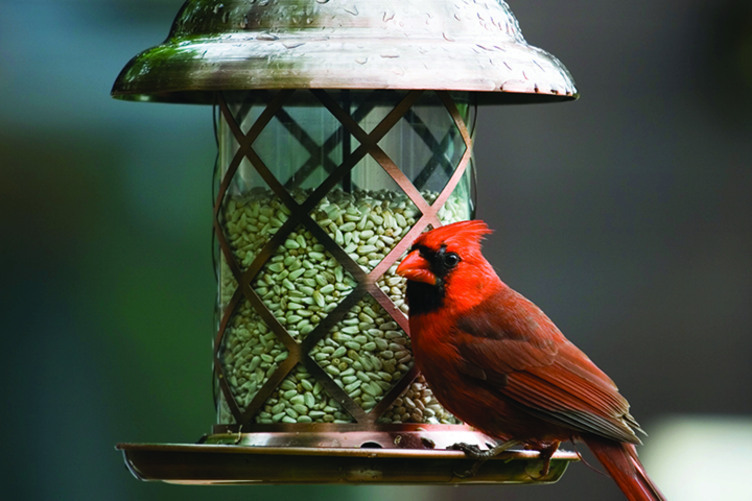 By setting up and maintaining a backyard bird feeder, you’re also supporting our ecological system in a simple, inexpensive and rewarding way. A bird feeder can be as basic or as elaborate as you desire (the birds will be happy with whatever you choose!). Rocky’s carries a wide selection, from hanging lanterns to decorative mini houses to standalone stations, many of which include systems for providing water as well. Planning to make a feeder of your own? No problem; we’ve got plenty of bird seed and nutritional blends to support any feeder, whether store bought or homebuilt—even fashioned from peanut butter and a pinecone! Invite some activity, some color, some new life into your world by helping to feed our birds. Smack in the middle of winter, it’s the perfect way to feel warm inside.